If you’re working with a retirement budget, the most useful thing is senior discounts! And there are plenty of them in Oklahoma. Whether you’re grabbing a burger, visiting a heritage museum, or exploring a tropical conservatory, there are numerous exciting discounts available to make your retirement more affordable. Here are the 10 best offers! Harden’s has been around for almost 80 years. The senior discount for those over age 60 is 30 percent. Grab a piece of history, a great burger, and get a discount. Seniors age 62 and over get almost a 30 percent discount at the museum. It’s important to note that veterans and immediate family get in free, so bring your ID. This center has been preserving Oklahoma history for more than 120 years. There’s always plenty to see and do. This museum has beautiful western and Native American artwork, some pop culture exhibits, and all kinds of artifacts used in forging the wild west. Seniors aged 62 and over get a discount of about 25 percent, making admission a great deal. The grounds at the Myriad Gardens are always free to walk through, but the Crystal Bridge has a fee. If you love gardening, make plans to visit this beautiful place. Seniors 62 and over get a discount on admission. This store, that bills itself as Tulsa’s Finest Meats gives a 10 percent to seniors who are 55 and over. It’s good at both stores, any day and any time you shop, but bundles are excluded. Seniors get a 15 percent discount at rooms and cabins at the State of Oklahoma resorts. Lake Murray Lodge, Quartz Mountains, Roman Nose, and Lake Texoma Lodge are wheelchair accessible resorts. There is a fully-accessible cabin at Greenleaf Lake. With an AARP membership, you can get a 30 percent discount at LensCrafters. Even if you just need a pair of prescription reading glasses, you could receive a significant discount. With the purchase of a large or extra large beverage at Dunkin Donuts, AARP members get a free doughnut. And who doesn’t love doughnuts?! Come spring, this is a wonderful option. Nothing beats a little golfing during your older years, as it’s a relaxing and fun hobby to get involved in. This golf course, as most do, offers senior discounts for weekday play. 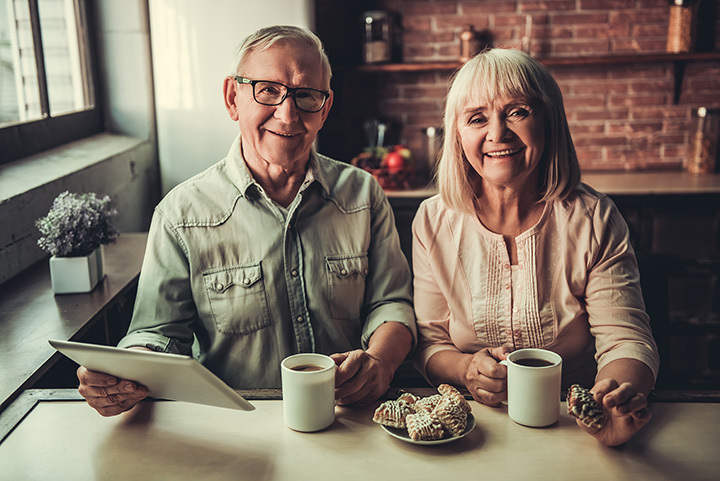 Although technically not a discount in the truest sense of the word, the senior services with Integris Health are a bargain. They offer AARP Driver Safety courses, which not only teach you to lower your risk of accidents, but may give you a discount on your insurance for completing the course, even if you don’t have AARP insurance. Check through the entire listing of programs for classes on health and education, plus opportunities to connect with others in your community.